My puppy chewed the wire of my Rosetta Stone headset, so I needed a new one. The Rosetta Stone headset was $29.99, but I wanted something less expensive. A lot of the inexpensive headsets on Amazon had cables that plugged into the speaker output, but I still wanted that output for my speakers. So this headset can be plugged into one of my many USB ports, and I do not have to continually switch cables back and forth back there. The headset is comfortable, but I never wore it for more than an hour. The volume control on the cable is really convenient. Some reviews have complained that the blue light is annoying if the room is dark, but if you turn it over, it is no problem. If it really annoys you, put a little piece of electrical tape over it. The microphone is good; it never caused trouble while speaking in the Rosetta Stone program. 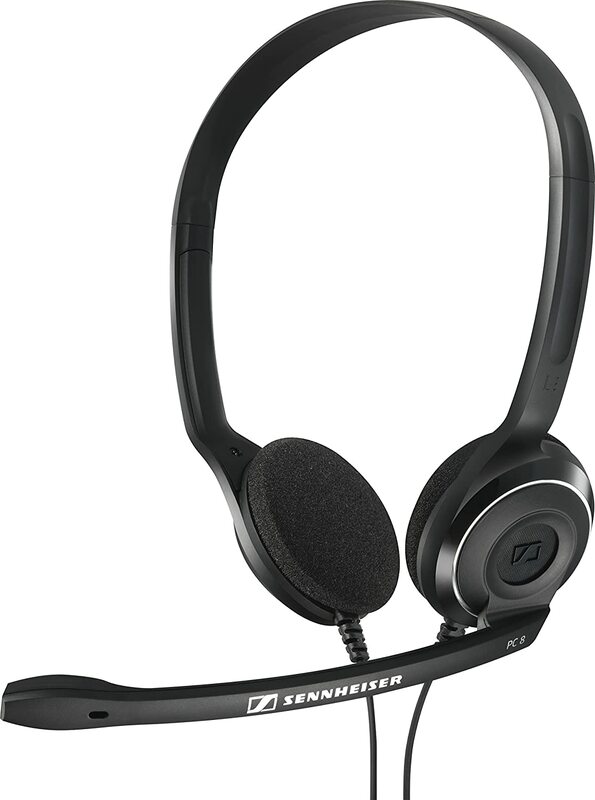 I recommend this product as an alternative to the $20-$40 headsets. 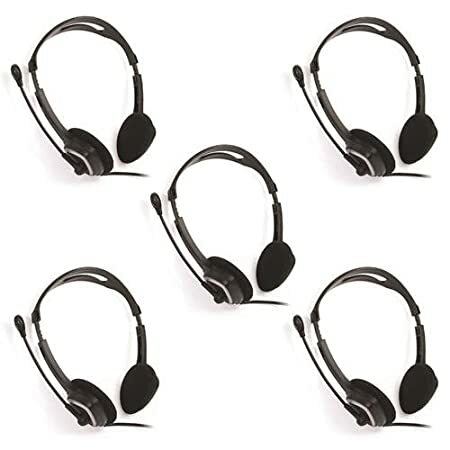 Over the years I have literally bought a couple dozen headsets for chatting on the Net for prices ranging from twenty bucks plus up to a hundred. 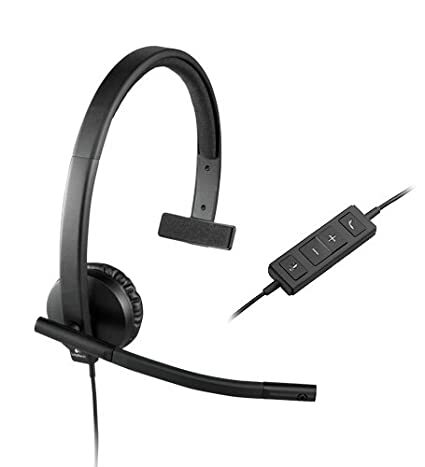 This relatively low priced headset has equaled or out performed the lot of them. For the price they simply cannot be beat. It seems that almost all headsets are susceptible to fine wire breakage after a few months of regular use. Hence the 'couple dozen' purchases mentioned above. I expect something similar may happen to this one in due time but thus far I have been using it daily for a few hours for several months without any failure. Even if it does fail the low cost of replacement means that I will not be out that much. 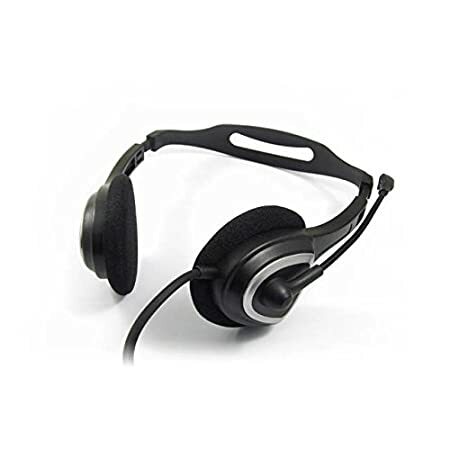 It's a great headset for online chatting and super affordable. It works perfect. Just plug it into the USB port - no drivers to install or anything. At least with Windows 10. The sound on the mic and earphones are good - talking sounds natural and music is pleasing, but don't expect it to match high end music headphones. The only negative is the comfort. I can wear it for an hour no problem. If I needed to regularly wear it 8 hours straight, I would want something else. It's not too bothersome and I've had way worse, but there is a little pressure on my ears and I am aware that they are on my head. Overall, I like them and I would buy them again at this price. 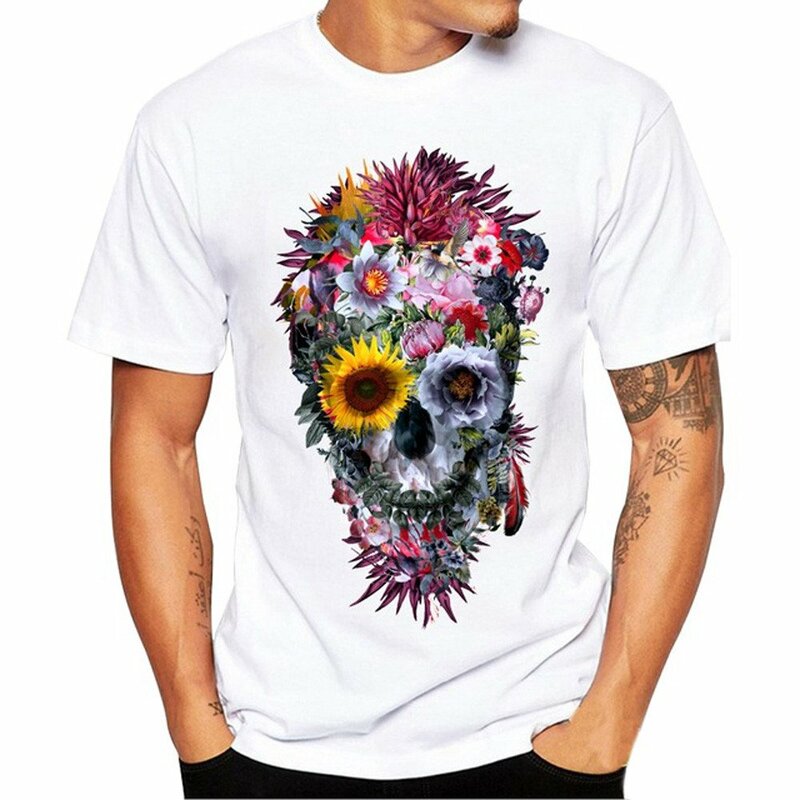 This is the second one of these I'd bought. These give you great audio and generally pick up audio very well. I use it to record podcasts over Skype. My only downside to that is that I have to use separate headphones while recording instead of the earpieces on the unit as an echo of my voice turns up on the recording if I don't. The microphone is great, and when my first one broke due to an accident, I was able to use it as just a microphone for a good long time. Only thing is that there isn't a guard to block out any air that comes out of your mouth instead of sound. 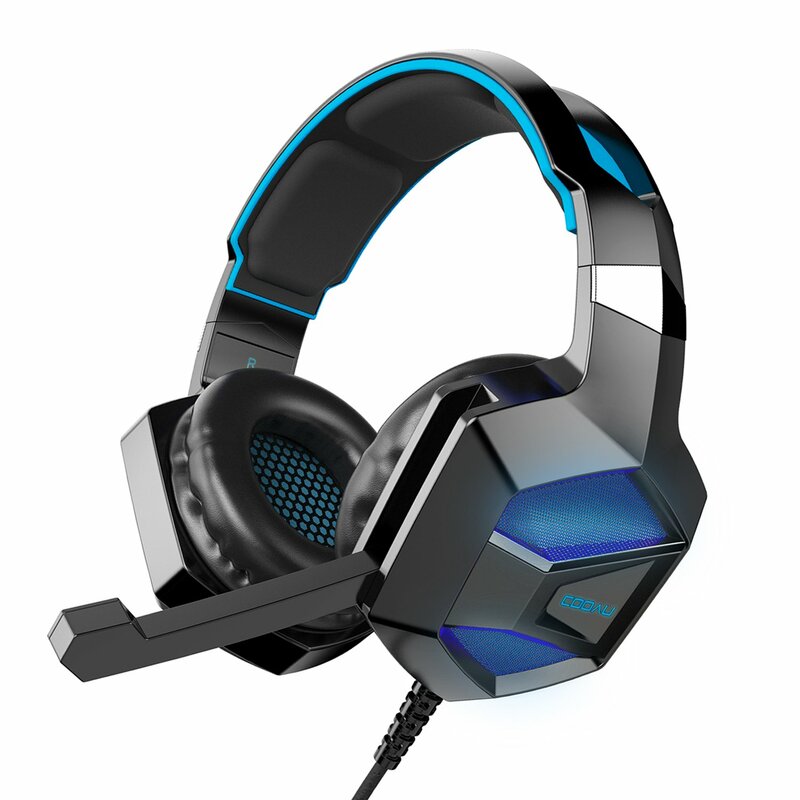 But anyway, those are the only problems with this great, low-priced headset. I did not expect the quality of sound that came out of this headset. I use it for online gaming on my home built computer and this thing is amazing, considering how inexpensive it is. Everyone I play with says that my voice comes through clear with no crackling or distortion. Sure it has a blue blinking light on the volume control module but that doesn't bother me and it compliments the blue lights that are on my computer anyways. I bought this as a cheap replacement for Rocketfish headset that died on me until I could get another good headset. But it's doing so well and I can hear so many details I could never hear before that I'm going to use it as my primary headset until it wears out. If you have never used a USB headset they are amazing. Pure digital audio is so much different than the regular plug in headphones. Music is amazing with details you have never heard before. With this headset I can hear the footsteps of the people trying to sneak up on me in games. It may not be a $100 headset, but it's better than every headset I've ever owned before it, including some turtle beach headset I had a few years ago. 5 stars NO PROBLEM. I am taking a class thru rosetta stone and you have to "talk" to the computer, and it supposedly recognizes whether you say it right or not, and of course you get feedback through the speakers. So unless you want to say it loud and hear it loud, "BWAYNO", "try again", BUHHWAYYNO", "lets try that one again", "bueno", "very good, lets try this", so you get the idea. I tried several different ones including the one they sent me with me several hundred dollar course, a very "low end" pair, some from amazon from well known makers of this kind of stuff (Plantronics etc) and of course things like GE and some for gamers, and all of them had some drawbacks--some had many drawbacks--but mainly was comfort or microphone sensitivity. So this set here I got because I could use in my tablet, with a USB adapter, and VOILA, they work very very well. 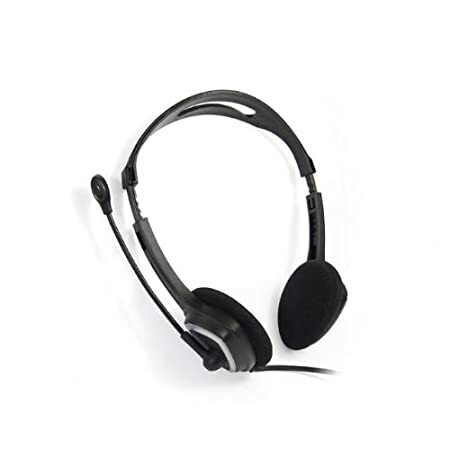 THe sound is crisp, the microphone works perfectly and it recognizes (it the rosetta software) it the first time, and they are very comfortable. No pain, no hair pulling, no squeezing of my noggin to the point of tears. For the price I paid, especially put into perspective compared to the much higher price of some of the failures, these are outstanding. THey have a nice long cable, about 6-7 feet, also have a volume up down/mic up down switch in the cable, as well as mute for both, and so they are wonderful. You can get various little adapters for as low as 2$ on amazon to plug usb into and it converts to mic/earphone jacks, and the other way around to convert mic/earphone to usb. I got a new very expensive computer and I was shocked to find that it did not have a microphone jack. 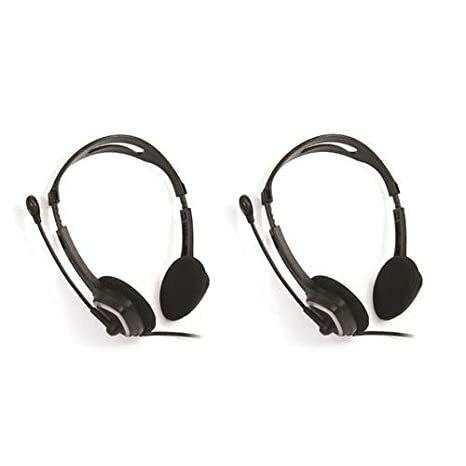 You need both, mic and earphones for most of these so the speaker in the ear, the microphone next to your mouth work. I was very happy to find this with USB, and even happier when they worked so well. Its amazing at some of the most inconspicuous stuff on amazon how you normally would never expect it to be good, using traditional judgment of name brand and price, and these gems appear from time to time primarily out of necessity. (This having the usb plug). They arrived in 2 days, and will last me until my fluency in spanish, which according to rosetta is like 2 weeks. (right). I hope they work as well for you as they do for me.